According to a study by Forrester Research, 71 percent of online shoppers read customer reviews before making a purchase decision. That’s close to three out of every four! Enough for us to have to seriously take this insight, one that serves as yet another proof that, when it comes to winning new customers (and bringing in new business) a satisfied customer or a loyal fan just might be your most potent sales rep. Ask for it. Your customers may never know that you want their approval or referral if you don’t ask for it. Start with your existing customer or subscriber base. Write a short note on your next E-mail newsletter. Announce on your blog or Facebook Page or Twitter profile that you’re calling for submissions on what people think about your business, brand, or product. The point is: if you want your customers to speak up, don’t stay silent yourself. Engage. Search the Web for places where people are already posting reviews and testimonials. Even if you’re not selling on Amazon, even if you’re not on any major e-Commerce site, there are still several ways you can find existing reviews of your product or service. One is Google Search. Just type your brand name + the word “reviews” or “testimonials” to see and read what customers are already saying about you. 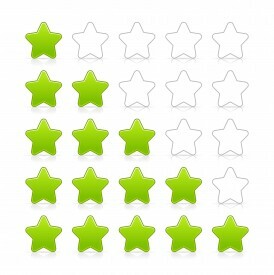 Review Trackers has an easy solution to track your online reviews. Oh, and don’t forget the social media search engines and third-party review sites: Twitter, Facebook, YouTube, Yelp, Google Places, and Insider Pages enable searches that should lead you to all kinds of users’ honest feedback, opinion, product experiences, raves, criticisms, comments, inquiries, and stories. Accept reviews in all forms. So you’ve asked for it. You’ve also searched for it. Now it’s time to acknowledge it in all its forms. Sometimes, the review or testimonial you’ll receive is nothing more than a quotable one-liner. Sometimes, it’s as lengthy as a full magazine feature. Or it can be a carefully written E-mail, a simple Facebook comment, a Twitter mention, or a home-made YouTube video. Our advice? Don’t be picky. Embrace the diversity in which all these reviews and testimonials may come. That way, you’re making it easy for customers to share whatever they have to say (no need to follow strict guidelines!). You’ll also be able to post the content across multiple channels: your website, your blog, your online store, your product catalog, your Facebook page, Twitter profile, YouTube channel, Google Places page, LinkedIn profile, and more. The more content you’re able to solicit or find, then the more freedom you’ll have in deciding where to put which. Add incentives. If no one seems to want to say anything about your business, brand, or product, don’t worry. Maybe it’s just that your customers need a little extra motivation. So, when soliciting reviews and testimonials, it’s a good idea to add incentives like coupon codes, freebies, discounts, and other such exclusive privileges. Or you can organize mini-contests that reward the most eloquent and heartfelt reviews. Be careful, though, of appearing like you’re “bribing” people and “buying” reviews. The key is to establish trust in your communications with the customers, not arouse suspicion among them. Let your friends help. Maybe you just opened a new business. Maybe you don’t really have a well-defined customer base just yet. Don’t let that discourage you: ask help from your friends. (That’s what they’re there for!) Maybe if you let them try your product or service for free, and they actually like it, they’d be more than willing to put in a good word for you and pass along the info to their friends. Maybe if you motivate or create enough value for them to choose your brand over another, they’ll realize they don’t regret it. Friendship: a source of instant testimonials, or – at the very least – honest, reliable feedback. Throw a testimonial party. Say you’re in a trade show. Several of your dealers, channel partners, and most loyal customers are likely to attend the same event, right? So why not organize your very own side event – built specifically on the idea of gathering positive reviews and testimonials from these people? Indeed, a testimonial party is an out-of-the-box – even risky – idea, but if you’re brave, fun, confident, smart, and selective enough about who will attend, then it’s an idea that’s poised to work wonderfully. Don’t forget to bring your video camera and recorder! Better yet: hire a freelance film crew. Make ‘em happy. None of what’s been mentioned above will work if your customers are unhappy. So work hard every single day at delivering an awesome product or service experience. Do that, and who knows? 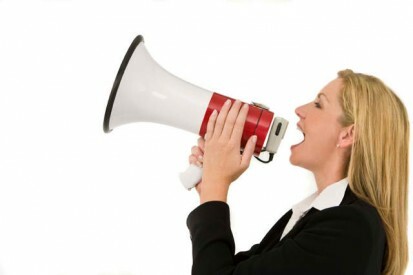 Positive reviews and testimonials may pour in without your prompting. Integrate it into the customer experience. Why not make the request for reviews a part of the order process? 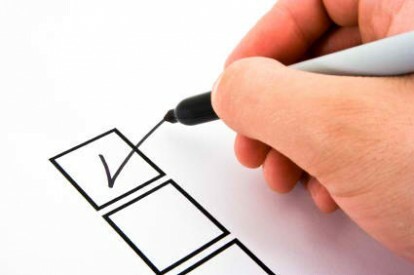 You don’t necessarily have to place the review form at the checkout page or after the shipping confirmation (customers, after all, may need some time before they can write a review of your product or service); what you can do is add a one-click feedback button to your website or online store. Once again, doing so makes it easy for customers to share whatever they have to say, whenever they’re ready to say it. Say thank you. Referrals, reviews, and testimonials make for valuable sales and marketing messages – so don’t forget to thank the people who provide these for you. And thank them in a timely manner, too; there’s no need to wait and see if their words lead to a successful referral or a new, targeted set of prospects. Remember: you’re thanking them for their nice, personal gesture – and not for the purchases they’re responsible for. Moderate reviews – but don’t ignore the bad ones. The Internet is replete with user-generated content – certainly not all of it is good. Not every review you get will be outstanding. In fact, competitors may even put on the black hat and try to plant bad reviews on your website or social media profiles. That’s the reason why we recommend moderating user-generated reviews. Don’t ignore the bad reviews, though. Sure, they might not help you enhance the perception of your product at all, but if you read them carefully and try to look at yourself from other people’s perspectives, the more you’ll be able to gain valuable insights about your business, brand, or product. That’s right: bad reviews can be good when they help indicate which areas you most need improvement in. Use real names. Forget attributing the sterling sound bite to “Happy Customer One” or “Penny-Saving Mom” or “20-year-old New York Film Student”. Ask permission to real names of real people living in real places. That way, you don’t give the audience reasons to think that the words – and the people who uttered them – are phony. If it’s possible, you can even link to the reviewers’ own Web pages. They’ll thank you for it! Quantity and diversity. Let’s face it: “I saved money at your store” doesn’t sound as compelling as “I saved $100 shopping at your store”, which highlights the fact that, when it comes to reviews and testimonials, adding numbers and other quantifiable units of measurement sure goes a long way. Readers and fellow customers want details. Remember this the next time you’re soliciting a review. Another great way to add a little bit of zest to your reviews or testimonials page is by showcasing reviewer diversity. It doesn’t matter what your target demographic is. Get as many reviews as you can from all kinds of customers with all kinds of experiences. The wider the range of people who talk favorably about your brand or product, the more likely you are to be able to influence others through them. With testimonials, you don’t need a spokesperson; you need the voice of a diverse community that prospects can relate to. Maximize your exposure. Have you received that gem of a testimonial that makes your day every time you read it? Don’t be selfish: share it to the rest of the world. You can add snippets of your best reviews and testimonials to all kinds of company collaterals – both online and offline. Add these snippets to your E-mail signature, to your Facebook Page Info or Reviews tab, to your Google Places page, to the back of your business card, to your press kit, to your corporate giveaways, etc. Remember, of course, to give full credit and attribution to where it’s due: your equally happy customers. I really enjoyed your article and would love to use it on the Trusteria Services website with your permission. Please contact me at the email address I’ve provided, I think this article connects very well with what Trusteria offers.